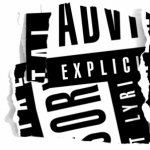 Forum | Parental Advisory (Hip-Hop / Rap) | Has it leaked? A group that partakes in the discussion of Rap and Hip-Hop culture. -Which upcoming artists are you hyped for? -Who’s hot and who’s not? All that and probably more here. This forum contains 1 topic and 1 reply, and was last updated by Brandon 4 years, 2 months ago.